This week I am skipping the belly pic. It’s not because I forgot to take one hate it, I just decided to show you that being pregnant isn’t always about the belly. This weekend we took Oscar for a 2 night stay at hotel Grandparents. They watched TV, they made cookies, they played and played. All the while Jerry and I stayed home to paint Oscar’s room and make some more progress on the nursery uninterrupted. Of course we didn’t work the WHOLE time. We definitely had to take advantage of our date night opportunity and we had a great time! 35 weeks pregnant is starting to wear on me though. After our productive and fun weekend, I feel pretty physically exhausted. I am concerned about what I will be like after the baby comes and I am only getting like 20% of my required sleep and not my usual 60%. I try not to worry about these things because I know, like with Oscar, that we will make it through. It’s just that everything is happening so FAST! How is it that we are in our final month? But it will be possible. People have been doing it for thousands of years. We can do it too. And it doesn’t hurt to have a special family walking beside us, giving us a chance to miss our boy and binge on sushi once in a while. 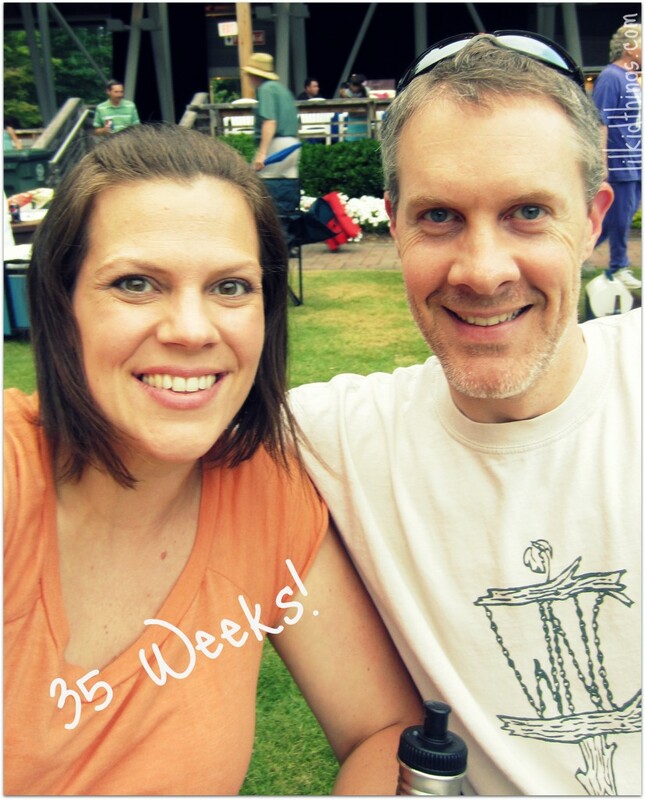 When all is said and done, I can say 35 weeks for me is about family. I am so blessed to have a great family, to have married into another great family and to build my own great family with my awesome husband and favorite person in the world. I wouldn’t want to do this with anyone else. You know what I LOVE this weeks picture because you are so right. It’s not always about the belly. 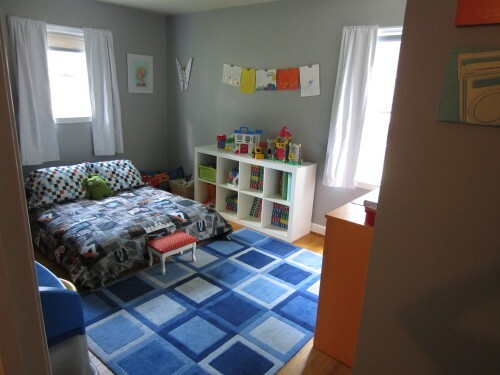 I love Oscars big boy room, where did you get that area rug?